I met Penelope last year, when I photographed her sister's wedding (so if you need to see more of these little nuggets, click HERE for the cutest flower girl and ring bearer ever!). We have been trying to schedule a session since then, but decided to wait until Emerson's two front teeth were missing. A few weeks ago, I got the call that those teeth were GONE and we scheduled a session the following week. I am obsessed. The Elebashes arrived stylish, funny and polite - with the best-behaved children who laughed at all my jokes and are ridiculously photogenic. 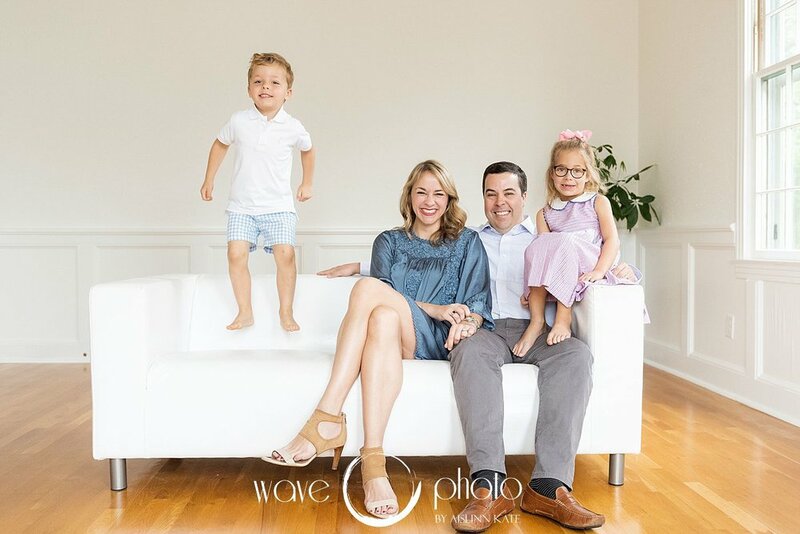 We spent most of their session in our studio for a clean, fresh look, and the results are family photos I would hang in my own living room (if they were my kiddos, obviously! ).